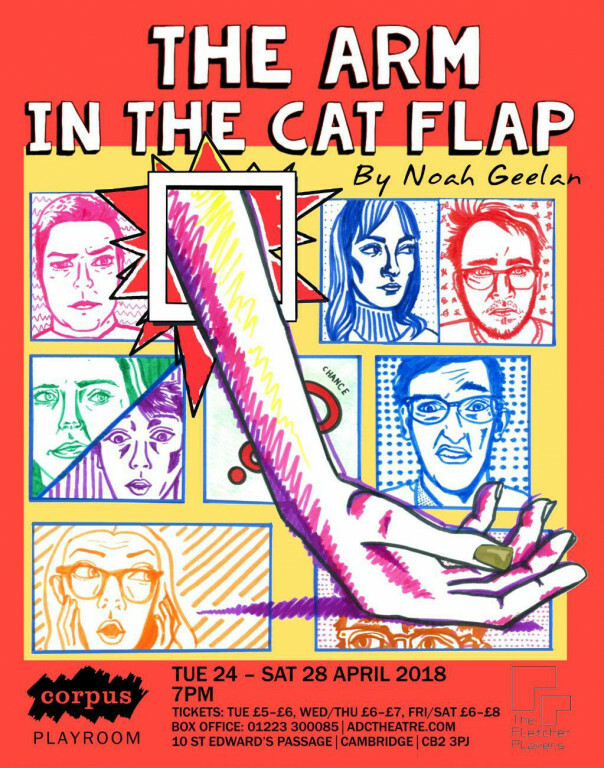 'The Arm in the Cat Flap' is a new farce by Noah Geelan. A group of students take a weekend trip to the Suffolk countryside. But when events don’t go entirely to plan, relationships start to unravel and things are not always entirely as they seem. Where is Mel’s other shoe? Is the mysterious latecomer really who he says he is? And where on earth is Jackson Buckley? This story contains: board games, alcohol, Suffolk local radio, fallouts, mistaken identity, an industrial amount of pasta and more than one late arrival. 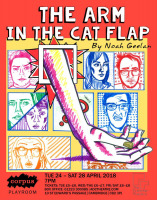 "trod the lines of silliness, sharp wit and poignancy with nothing less than brilliance and flare"
"Noah Geelan’s superb script is so well-crafted, it would be easy to believe it was the latest piece of a seasoned playwright. " "Geelan is an abundantly talented writer. He has an innate skill in finding the right balance of the bizarre without ever tipping it over the edge"